Afterwards, we invite you to stick around each night for fellowship, refreshments, and gospel hymns singing around the piano. These Sunday night events will lead up to the Tent Revival Weekend below. Visit our Speaker Series Summary Blog where you can learn more about each topic, watch videos and share encouragement with one another. 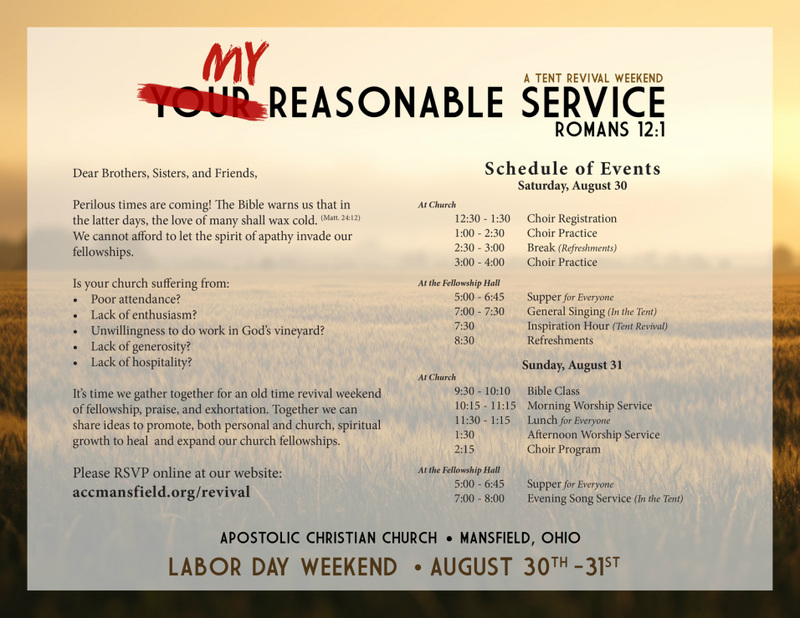 Come join us Labor Day weekend 2014 for a tent revival weekend! Rejuvenate your relationship with the Lord and re-establish your role and position in your church family. See below for details of the weekend and please RSVP using the form at the bottom of this page.